I. Aria "Liebster Jesu, mein Verlangen"
II. Recitativo "Was ists, dass du mich gesuchet?" III. Aria "Hier, in meines Vaters Stätte"
IV. Recitativo "Ach! heiliger und großer Gott"
V. Aria " Nun verschwinden alle Plagen"
VI. Choral " Mein Gott, öffne mir die Pforten"
I. Aria "Selig ist der Mann"
II. Recitativo "Ach! dieser süße Trost"
III. Aria "Ich wünschte mir den Tod"
IV. Recitativo "Ich reiche dir die Hand"
V. Aria "Ja, ja, ich kann die Feinde schlagen"
VI. Recitativo "In meiner Schoß liegt Ruh un Leben"
VII. Aria "Ich ende behende mein irdisches Leben"
VIII. Choral "Richte dich, Liebste"
II. Aria "Ich geh und suche mit Verlangen"
III. Recitativo "Mein Mahl ist zubereit"
IV. Aria " Ich bin herrlich, ich bin schön"
V. Recitativo " Mein Glaube hat mich selbst so angezogen"
VI. 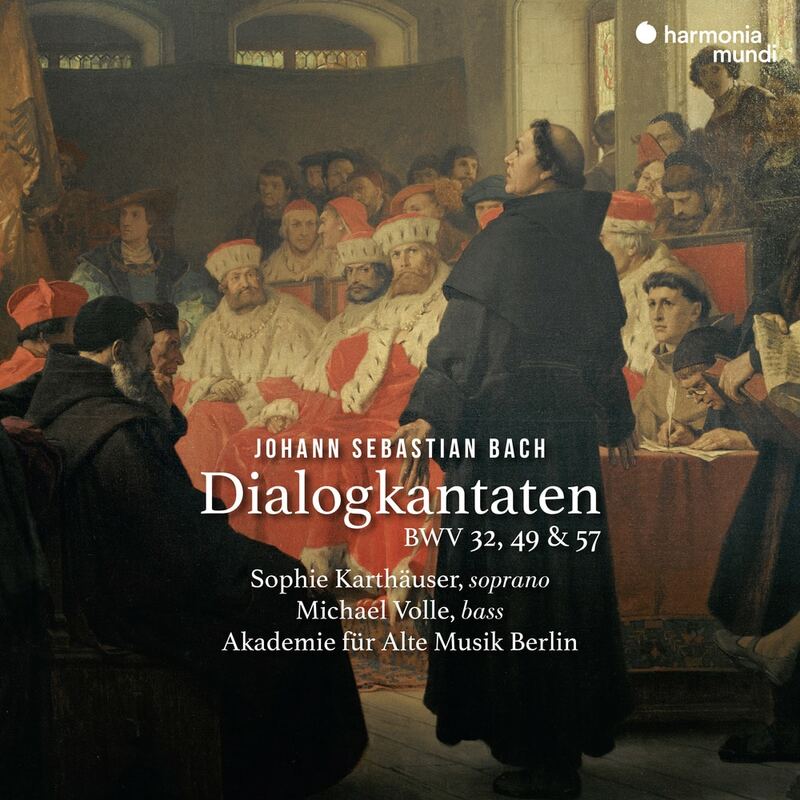 Aria & Choral "Dich hab ich je und je geliebet"
Exquisite dialogue The church cantata very quickly came to occupy a privileged place in Bach's output, but it was in his Leipzig period that he explored new stylistic possibilities for the genre in several cycles. The third of these, mostly scored for relatively small forces, features in these Dialogkantaten three fine examples of the 'madrigalian' type: in their arias, recitatives and chorales, the composer deploys a poetry that does not exclude audacity and an eloquence worthy of opera. These fervent musical conversations are here conducted con brio thanks to the rapport between two singers as moving as they are inspired.